The IMEON 9.12 Solar Inverter supplied by IMEON ENERGY is the ideal solution for all solar energy systems (Smart-Grid / Back-up / Off-Grid / On-grid). IMEON 9.12 manages different sources of energy ie Solar, Batteries and Grid. Due to its integrated microprocessor, IMEON orients energy according to the production conditions and the consumption needs for the most in optimal performance. 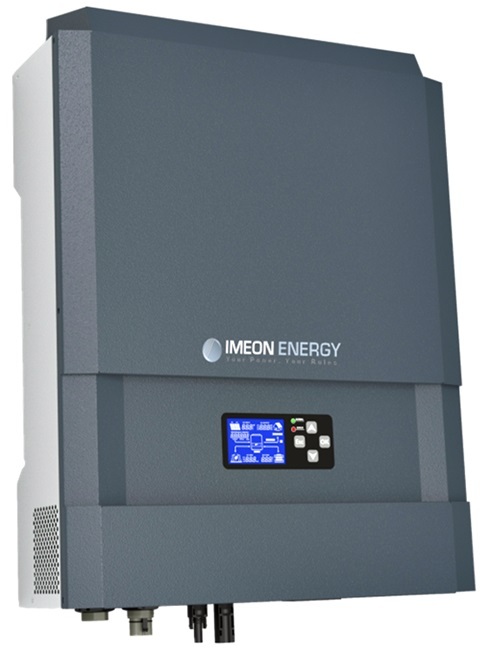 The IMEON 9.12 Solar Inverter adapts to all installation types of self-consumption with or without storage, isolated sites or grid-tied sites, selling the totality of the solar production or only the solar surplus, uninterrupted power supply (UPS Back-up). The rising cost of conventional generated electricity, lowering costs of solar systems, inexhaustible solar energy - grid parity is almost reached on a global level. Solar self-consumption becomes logical and represents the future for all stakeholders in the solar industry. IMEON ENERGY creates intelligent inverters for specific and diverse needs in the self-consumption market: performance and simplicity of use. The “Grid Optimised Storage” manages charge and discharge of the batteries to optimise efficiency and increase the battery life. In fact, contrary to traditional techniques, IMEON stores only the surplus of solar production and discharges the batteries only to supply the compliment of energy required after using direct solar production. With smart battery management, IMEON limits injection of electricity to the grid and optimises solar-grid integration through peak shaving. 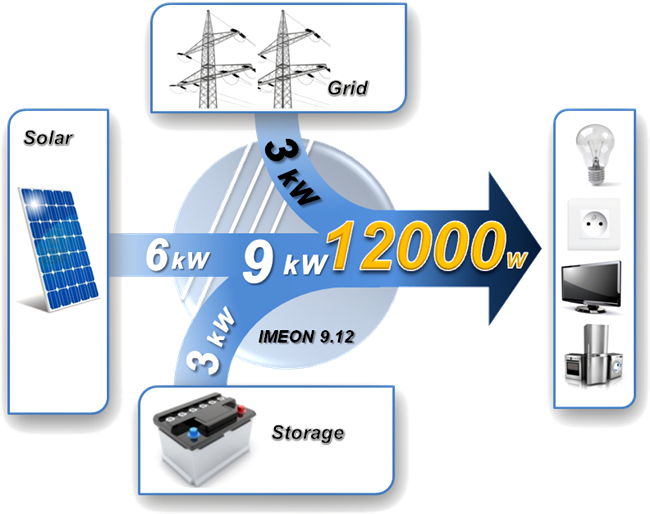 The IMEON 9.12 Solar Inverter conforms the to the German storage program “KfW Speicherförderungsprogramm 275″. IMEON replaces all necessary components that efficiently exploits solar energy: On-Grid and Off-grid inverters, controls or regulators, commutators or source switches. IMEON ENERGY smart-grid inverters therefore allows to: save time with the ease of installation and secure connectors (RST and MC4); gain space thanks to the light weight and compact form; optimise the solar kWh tariff. No more need for complex or tailored installations studied and configured long in advance. 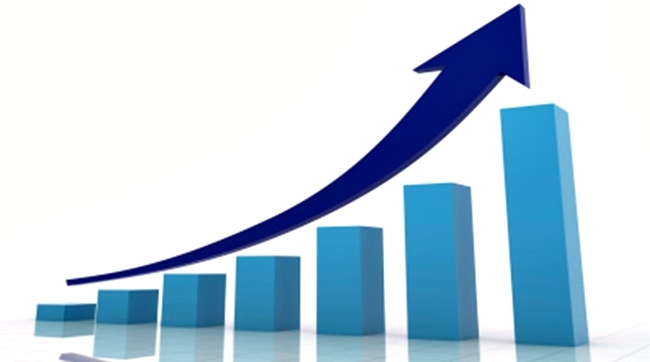 IMEON adapts and makes the best choice of energy usage to guarantee high yields. IMEON reduces the cost of solar kWh by 30% compared to traditional (Off-Grid) systems by minimising the use of energy storage. IMEON gives the priority to direct consumption of solar energy, and only stores the surplus of solar production. 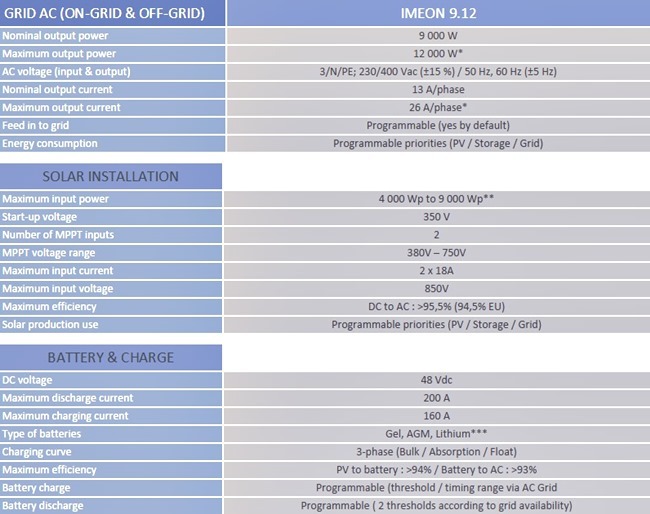 In the presence of the grid, IMEON can supply 3kW more than it’s nominal power at constant load, for example: IMEON can use 6kW from solar photovoltaics, it can take up 3kW from batteries, and completes load with 3kW more from the grid when needed. 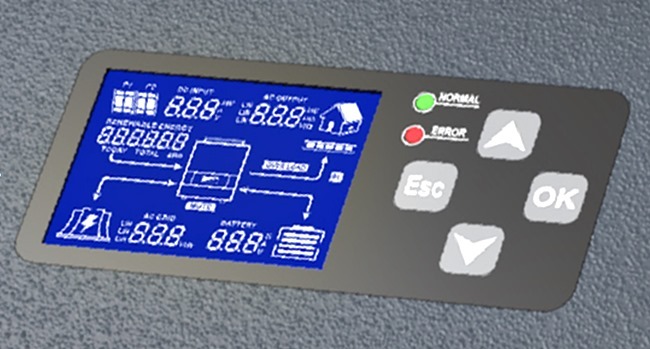 With an ergonomic, user-friendly display of different elements of the solar installation. The user can easily follow and monitor the system status at any time, such as the production level of the installation, the habitat’s consumption, state of charge, level of battery and grid contribution to the load, etc. Our range of IMEON ENERGY smart inverters equipped with the IMEON WEBCARD option can be monitored at a distance with the Android mobile application “IMEON MANAGER” available for free on Google Play.